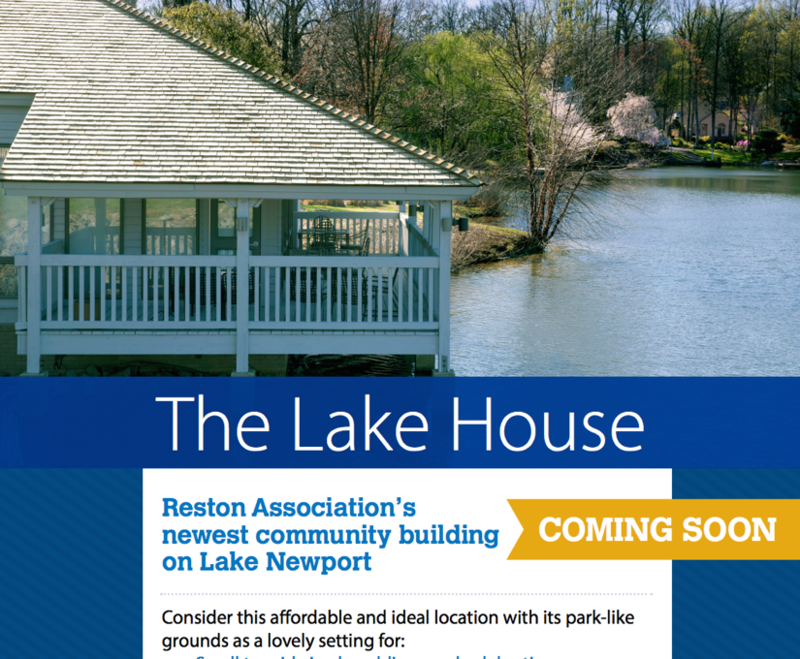 Reston Association’s Lake House Working Group is still wrapping up its work, but RA is already promoting the former Tetra property as a place for private rentals. After a contentious member referendum, RA purchased the property from Tetra commercial real estate in July 2015 for $2.6 million. A working group has been meeting since October on uses for the property, which sits on a little over three acres on the shores of Lake Newport. The 15-member group is expected to make its final presentation to the RA Board at the board’s meeting on May 26, and the board is expected to vote on longterm usage. But even without the big-picture plan in place, RA is already marketing its new after-school program, which will begin in Fall 2016. After care is expected to bring in more than $100,000 annually to the association, though operating expenses will offset about 40 percent of income. A $650,000 contribution from developer Comstock has helped fund the exterior renovations that have been taking place the last several months. RA, which borrowed the entire $2.6 million, has said members will not see an impact due to the purchase to annual assessments until at least 2018. 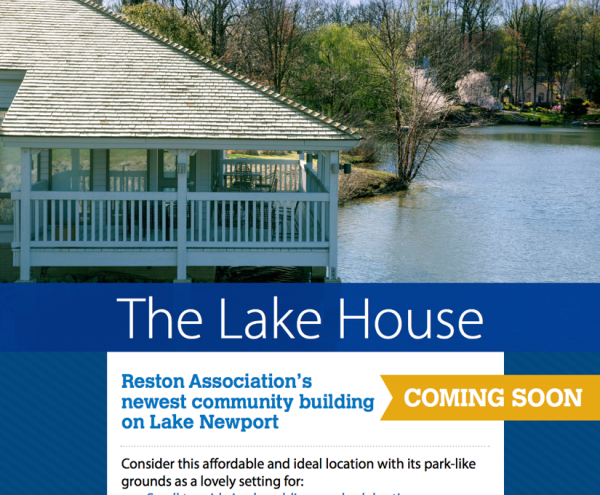 The Lakeside Room offers access to the deck overlooking Lake Newport and can accommodate 50 guests. The Lake View Room can accommodate 100 guests in a natural light-filled setting with a fireplace. The entire facility can also be rented for up to 150 guests. Rates are $100-$275/hour, RA materials say. Reservations are available at [email protected] or by calling 703-435-6530.